The most beautiful sound in all the world…Maria’s. So Leonard Bernstein might’ve commented on how our finest jazz orchestra composer attains comparable artistry with a chamber orchestra. Setting two groups of poems, Schneider catches the wings of soprano Dawn Upshaw, whose singing swells and soars with a deep-hearted glow. Ted Kooser’s winter poems tip-toe with Frost-like reflection, which Schneider wraps exquisitely in crystalline yet wind-supple gestures. It’s gorgeous stuff, yet Schneider fragments her flow when needed, and smartly contrasts Kooser’s wide-eyed wonder with Carlos Drummond’s knowingly droll verse, including “Quadrille,” a wry meditation on unrequited love’s cruel turns. Despite the CD’s titular theme which evokes the “bone-cracking cold” of a perfect solstice morning, Schneider again displays a melting lyricism. That quality distinguishes her from most of her jazz orchestra contemporaries and may be rooted in her classical training at the University of Minnesota, which predated her jazz schooling at Eastman School of Music. For example, there’s the stylistic manner of periodically repeating the poet’s line in the score for the singer to double up on. This commonplace of art song helps honor inspirations and allows felicitous variations of phrasing. Schneider has long mastered a floating rubato pace rare among jazz composers typically dependent on a measure of rhythmic matrix or pulse. This allows her to daub and dash her orchestral palette with a vivid array of colors which often evoke mentor Gil Evans as much as any contemporary classic composer. A recent New York Times article recounts her trying to re-orchestrate an Evans piece at the request of the great arranger-composer, who is best known for his triumphs with Miles Davis. But you hear Evans-esque sorcery in her new music. Schneider inserts atonal passages with prudence and purpose, as in “Our Finch Feeder” which sonically mimics the hustle-bustle of hungry birds. 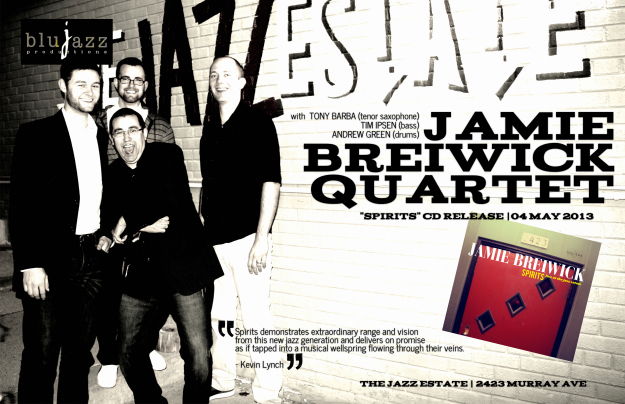 Her die-hard jazz fans may miss the improvised solos she garlands her more familiar works with. The new key here is soprano Upshaw, a master of contemporary classical music but not a jazz singer. Like much of Schneider’s recent jazz music, this is virtually all through-composed, even though three of her jazz mates (pianist Frank Kimbrough, bassist Jay Anderson and clarinetist/bass clarinetist Scott Robinson) play in portions. 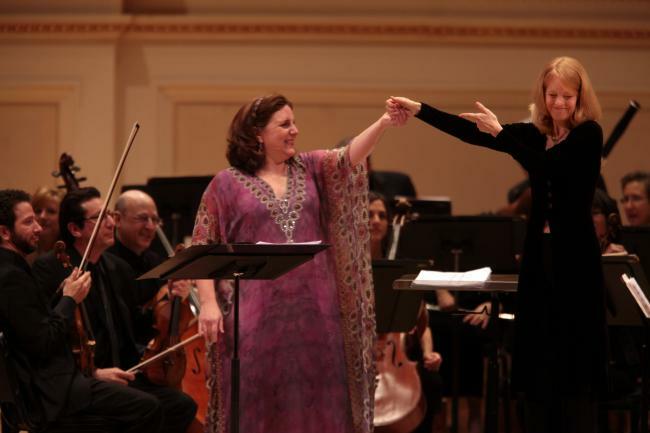 Soprano Dawn Upshaw (left) with composer-conductor Maria Schneider. Courtesy minnesota.publicradio.org. And yet a vocal passage like the prologue for Drummond’s De Anrade Stories has a lilting air reminiscent of passages she’s concocted for jazz singer Luciana Souza, as on Schneider’s Emmy-winning “Cerulean Skies” from Sky Blue. Unsurprisingly, Upshaw handles this textually abstract passage with aviary splendor. She’s one of the best reasons for people to hear the new CD, having become a sort of crossover star due to the deep, accessible humanity of her singing and the catholicity of her tastes. She had become a Schneider fan and approached the composer about this project. It’s a chance for such listeners to expand their horizon just as it is for classical fans who’ve never heard the likes Schneider. This recording is recommended to anyone who loves good music regardless of categorical appendage. I’m hardly a high-profile music critic. Yet I received a copy of Ms. Schneider’s CD (via ace publicist Ann Braithwaite) within a week of the article, directly from the composer in the mail. Woolf characterizes Schneider as “prone to insecurity.” If so, this is complemented by remarkable courage. As a woman, she’s forged a currently unparalleled career in a still male-dominated jazz field. Her label ArtistShare, which she co-founded, pioneered the ambitious DIY concept of fan-financed recordings. But I wonder if her “insecurities” also reflect a gender difference, having to do with ego and humility. 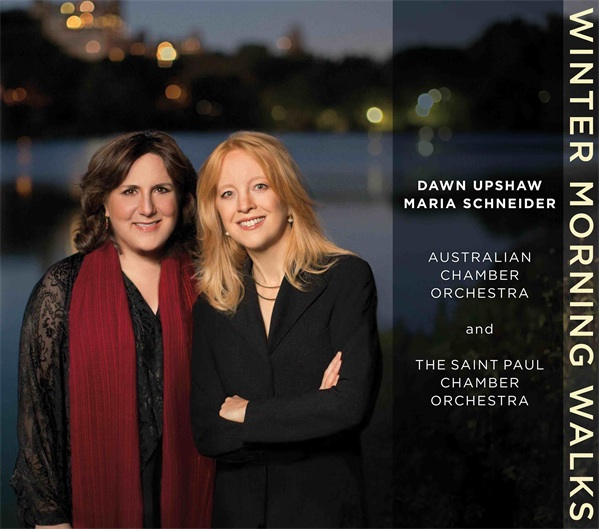 Schneider defers to Upshaw for top billing on the CD cover. Though many jazz bandleaders (including Evans) have performed technically limited “arranger’s piano,” Schneider never plays piano in public. Her sensibility also suggests a consistently humble Midwesterner’s experience of nature. There’s also a celebratory rapture in this pastoral music that is characteristic Schneider and, it seems to me, an always-precious commodity in such spirit-deflating times as ours. If she’s risking a wintry tightrope walk over her jazz success, her skills are as surefooted as a hardy north woodsman’s. Motherhood is as universal a human experience as it is distinctively personal and intimate, and a measure of a woman’s intelligence, soul and character. Try to remember you can only do so much, and know when to let them go, so they flourish in ways that will surprise and even astonish, and inspire pride you never imagined. Because from your womb, love and nurturing they find their own special genius as whole persons. At that point, a son or daughter completes the evolution of universal growth to the unforgettable human, with your beautiful imprint, who belongs to the world. The above message and images were sent earlier today to a group of sisters, relatives and friends whom I felt were richly deserving of my personal sentiment. I tried to avoid mawkishness for considered sincerity. And when I quickly thought of these two images to accompany it, I realized how much my sensibility has been influenced by the great Armenian-American artist, Arshile Gorky. That’s when I decided to extend this personal Mother’s Day greeting to everyone online, because, as I say, the experience of motherhood is universal for all children, as well as mothers. And yet, as I made my e-mail list, I realized I didn’t know as many mothers well as I would’ve thought I did at this point in my life. I won’t go into personal reasons why that might be, aside from being of a childless single person. But for Culture Currents I also wanted to share some thoughts about Gorky’s extraordinary portraits, which lack any trace of conventional sentimentality, and yet are profoundly imbued with love and feeling, and with a sense of history that traces the importance of motherhood as, not inconsiderably, a sort of spiritual talisman. 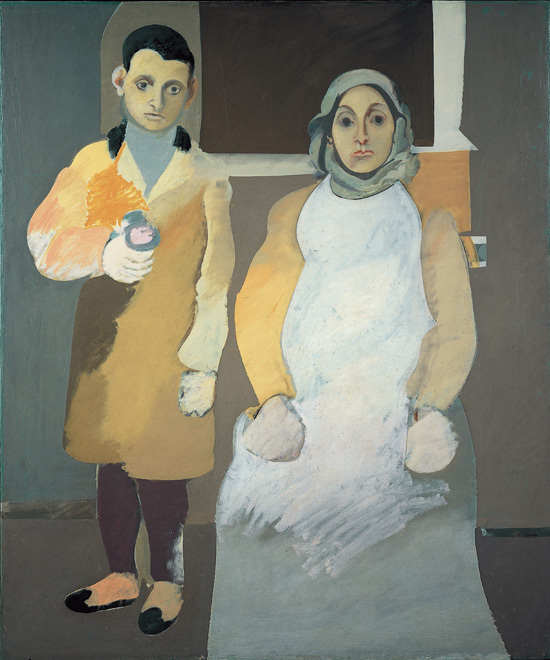 Notice that Gorky spent a full decade working and reworking the portrait of himself and his mother. I think he was grappling somewhat with how to resolve his visual representation of his relationship to her. Part of that comes from his modernist painterly approach which delved into rough-hewn textures and colors that opened up the inquiry into modern being, in a manner that classical portraiture handling could not. The fact that he left the work unfinished also perhaps reflects his unresolved and complex feelings about his relationship with his mother. There’s also a testament, in those almost wind-blown branch-like strokes at the end of her apron, which might signify children fallen from the maternal tree, and thus witness to the full cycle of maternal experience. And while Gorky broke away from classical portraiture he also grew out of it and understood its distinctive strength qualities. So he composed a rather formal posture of the two figures, which saves the work from any sentimentality or undue romanticism. And of course his deeply accomplished charcoal portrait of his mother reveals his underlying mastery of classical technique. Here you see something that’s intensely evident in all three faces in these two works. What I see in that portrait is the indomitable strength, courage and love of a beautiful mother who has endured a racist genocide and exile during the Ottoman occupation of Armenia. “She was the most aesthetically appreciative, the most politically incisive master I have encountered in all my life… Mother was Queen of the aesthetic domain,” Gorky wrote. Young Arshile, whose given name was Vosdanik Adoian, and his sister Vartoosh, fled from Armenia to America. 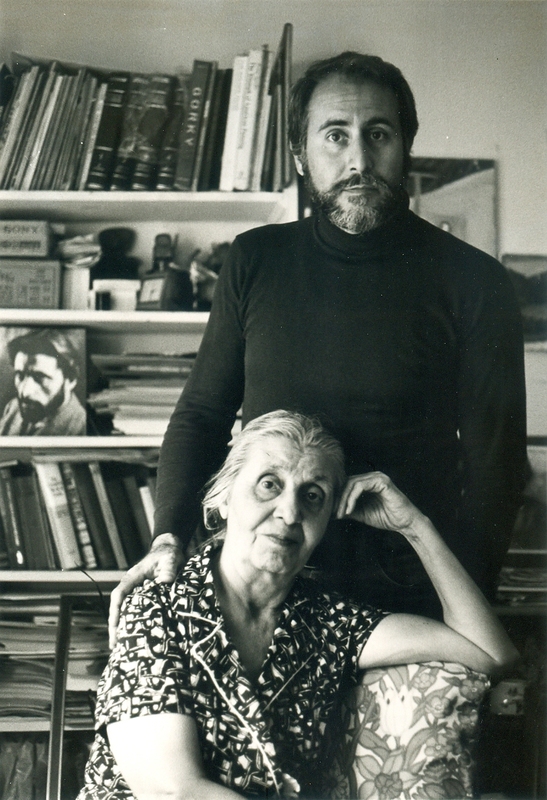 After I visited the great Gorky retrospective at the Guggenheim Museum in New York in 1981, I had the opportunity to visit Vartoosh and Karlen Mooradian, her son and Gorky’s nephew, who wrote a Gorky biography and a “documentary montage” of recollections and Gorky letters. They both lived in Chicago at the time. They seemed to appreciate the Gorky retrospective review I had written, and that I was an artist as well as a critic. I regret that I was never able to do much with that interview. I do recall them as two people of serious, kind and sincere feeling. And yet it’s clear in Gorky’s soul-piercing charcoal portrait of his mother that her flame still burned brightly within him. 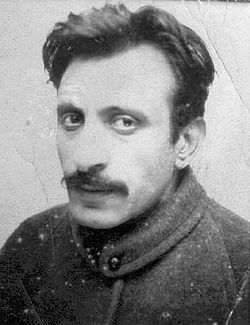 Vartoosh was the person closest to Gorky throughout his life. So I offer this photograph of her and her own son, which Karlen gave to me, as a portrait of two of Lady Shushanik’s offspring. Vartoosh Mooradian (Gorky’s sister) and her son Karlen Mooradian, ca. 1981. Courtesy Karlen Mooradian. I think it provides symmetry to the Gorky painting. Lady S’s descendants — another mother and son — somewhat echo the Gorky portrait of himself and his mother. Here they sit comfortably and warmly together, without any evidence of direct existential suffering (except perhaps in Vartoosh’s eyes) which surely affected Gorky and his mother, who curiously avoided contact with each other (the painting was based on a similarly composed photograph portrait). Those two painted figures still haunt me. Because, without Gorky’s courageous and tragic Lady Mother, the world would have been robbed of one of the great artists of the 20th century. Though it can be pedantic, there’s also a genius of insight to artistic fidelity. 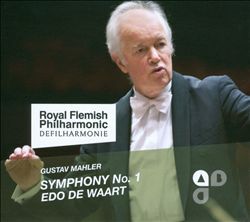 Edo Du Waart demonstrates that gift with sure-handed clarity and purpose in his new recording of Gustav Mahler’s Symphony No. 1 with the Royal Flemish Philharmonic. But one must tread with caution in the grotesqueries of theatrical effect, even if Mahler has his grotesques. This CD annotator somewhat overstates in saying “the strident brass provides a disorienting rancidity” in the second movement’s famous funeral march. It’s too beautiful a total effect to ever be “rancid,” as much as the tonalities may clash at times. And Du Waart always makes sure we know that experientially. 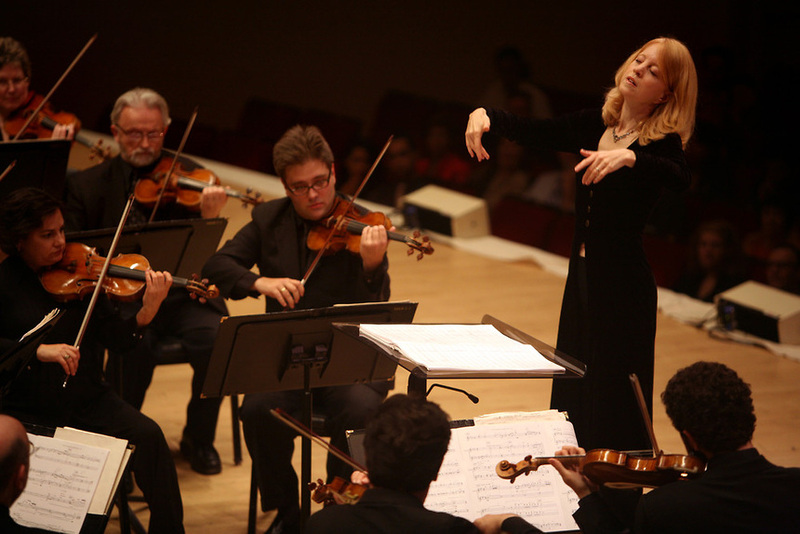 Du Waart — also music director of the Milwaukee Symphony Orchestra — will suffer none of this. So if you’re entertained by provocative personality postures this interpretation might seem a little dry. But I turned it on and it pulled me through to its thrilling end via the profundity of transparency, when you consider the depths revealed. This First is as boffo and eloquent as anyone’s because it’s real, not dressed-up-like, Mahler. Yet if it’s relatively unadorned Mahler, what is that Mahler? It’s good to recall the composer’s powerful yet unsettling place in music history. His symphonies find their indelible place with what Theodor Adorno calls their “thoroughgoing discontinuity.” Those who feel comfortable in sonata-allegro form can be unnerved, to say the least. 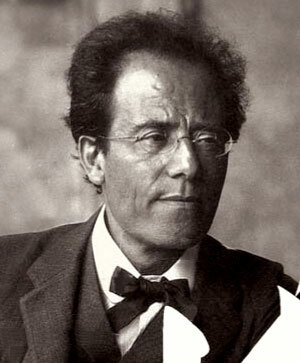 Rather than a top-down overriding structural continuity we follow Mahler through many odd and often enchanting incidents which, in ways, are the essence of his music, rather than the grandness of form that seems presumed by the scale of his most gargantuan symphonies. And here, this sense of vertigo-like imbalance is akin to Mahler’s fellow countryman Franz Kafka. As with Kafka’s absurd quasi-reality, we’re stricken with an anxiety that feeds alienation on the very doorstep of what we think of as ourself, our home, our country. Indeed, the finale’s combo of a primal anxiety with a cathartic song of thunder remains – in such pure Mahler – a thrilling experience. Here’s another bottom line. A powerful recording statement like this should compel the Milwaukee Symphony Orchestra to get De Waart into a recording studio with their band, maybe doing one of the Mahler symphonies they have performed recently in Milwaukee. After all, you never know when an international talent might be gone forever. We’ve lost many lesser lights all too soon. 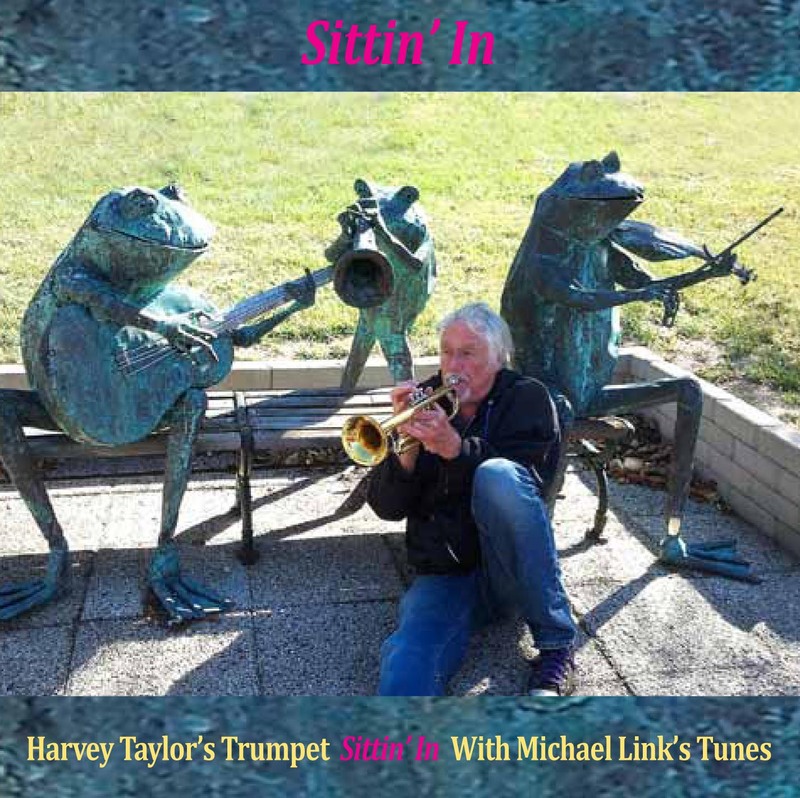 Trumpeter Taylor recalls Miles Davis’ tiptoe-through-the-pop-song-tulips period. He unfurls melodic and faintly mournful phrases, although at times Link’s strong rhythmic pulses call for the trumpeter to take off and fly. Earthbound he remains, radiating amiable warmth; so the music teases your interest, soothes. You feel its quirky underlying pulses and maybe a spring in your step into the day. For a more full realized imaginative investigation of these musicians’ creative and conceptual potential, listen to the CD A Story for Scheherazade, released under Taylor’s name two years ago. It’s a colorful and daring reimagining of the great Middle Eastern myth of Scheherazade. Inspired by a trip he took to the Middle East , Taylor aptly feels it has something to teach us “about the possibilities of art to heal, inspired and enlighten” especially in times “of dreadful misunderstanding and conflict” between the West and the Middle East. I’ve long felt that our ignorance of Middle Eastern culture is a large contributor to the ongoing geopolitical conflict that’s become an almost intractable quagmire. (Taylor CDs are available at www.harveytaylor.net). For those of you who’ve read my previous story of the remarkable Bill Briggs, extreme-sport pioneer and Bob Dylan collaborator, here’s a photo of a scene I allude to in the posting. 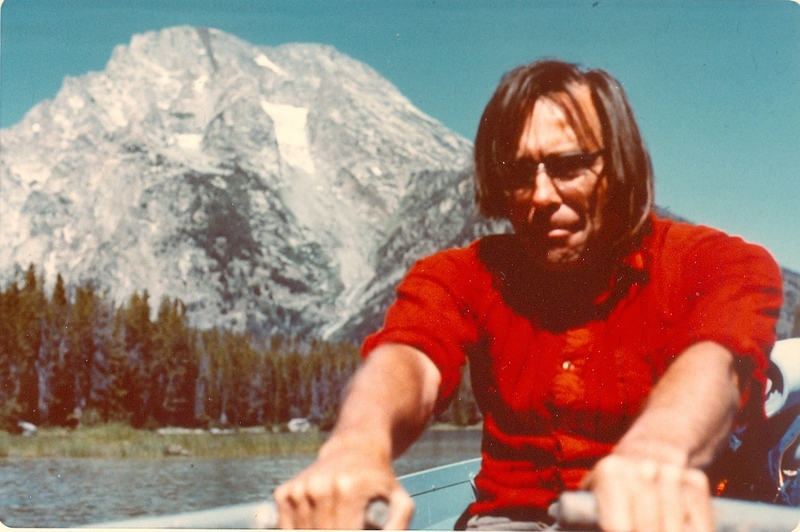 Briggs is rowing toward Mount Moran in the background. I think it captures some of the intensity and determination of the only person to have ever skied down from the summit of The Grand Teton. And I think he really does look like singer-songwriter Malcolm Holcombe. Their personalities are somewhat similar as well — intense, a bit eccentric, but essentially sweet fellows. Also, I incorrectly stated that our Moran climb was in 1973. The correct year was 1976.